Among the most honored of nature filmmakers, with 25 National Geographic films to their credit, Dereck and Beverly Joubert are conservationists with the soul of a poet. "We dream of giants, moving as silently as ghost ships under sail," Dereck reflects of sleeping in proximity to a herd of elephants, "omnipotent rulers of the savannahs" as he describes them. In Soul of an Elephant, a visually enthralling and poignantly empathetic installment of Nature, the Jouberts spend two years traveling amid a pack of pachyderms in Botswana, Africa, which only banned the hunting of elephants for their ivory in 2014. Their goal is to gain as deep an understanding as possible of the elephant, to contemplate their inner lives while tracking their behavior. This expedition was inspired by the discovery of two bull elephant carcasses, found with their ivory still intact, indicating they died of natural causes, a small miracle in and of itself. But how and why did they perish? This mystery fuels the narrative as the Jouberts observe and narrate the herd's migration through water and land. 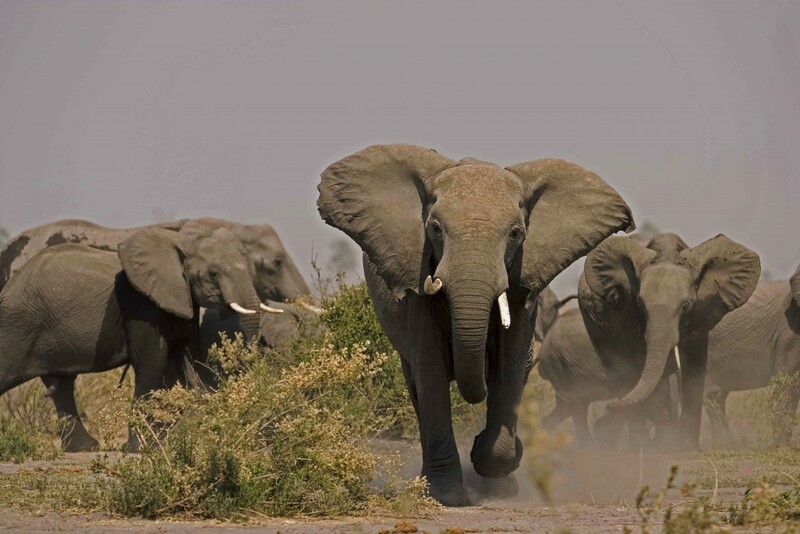 The filmmakers get so dangerously close to their subject at times that the elephants appear ready to charge at them. Veterans of the trade, they know better than to run, instead staying still and staring the beasts down. "When something doesn't run off, they sometimes feel intimidated, unsettled. Confidence is the only weapon we have," notes Dereck. But more often than not, the intimacy they establish pays off in more subtle, moving ways. In one of the most memorable scenes, cameras are placed near the decayed remains of elephants on a trail, recording the herd as they caress the bones and skulls with their trunks in what appears to be a ceremony of paying respect. "Touch. Smell. Remember. Think. All you ever need to know to be inside of an elephant's head at these moments," Dereck says. And only someone without a soul would doubt him at that moment.